240sx, Corolla, Drift, drift car, Drifting, Ford, Katsuhiro Ueo, Mustang, Nissan, rtr, the huntquarters, thehuntquarters.com, throtl, Toyota, vaughn gittin jr. 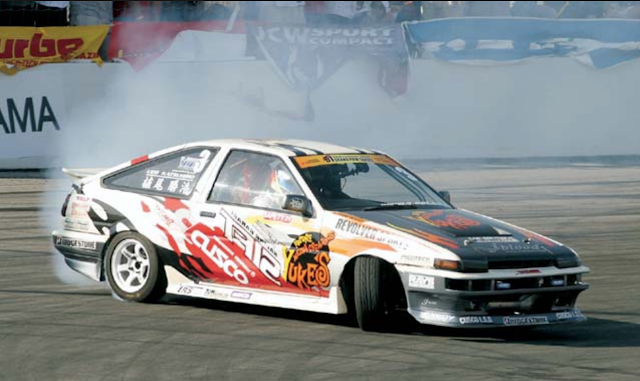 When you think of the best platform to start a drift car build up we are fairly certain the Nissan 240sx or Toyota Corolla might come to mind first. You're not the only one though. In fact, that's what probably comes to most peoples minds. 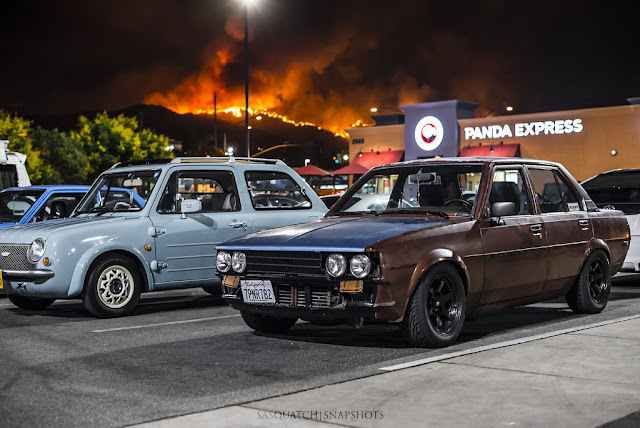 Because of that the AE86 has become scarce and now wildly overpriced to build as a beater drift machine and the various generations of 240sx are now also becoming harder and harder to find in a desirable condition. There is zero argument that the Corolla and 240sx have an ample supply of go fast and chassis bits to make you a drift hero. You can literally select the parts and build the ultimate drift car by simply clicking the "buy" button on a number of websites and putting in the wrench time. But, by doing so you are the same as the next guy and really just building a "me too" car. 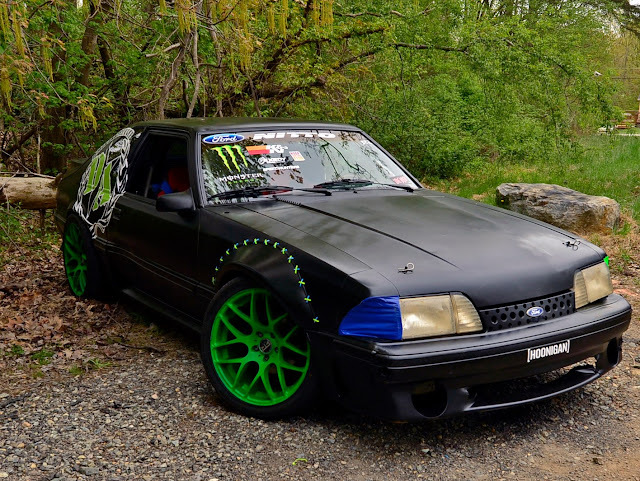 We have long thought the Fox Body Mustang to be a very capable platform that also garners a slew of affordable aftermarket support and a fairly reliable drivetrain package. These cars have gone wildly unappreciated in the drift car scene and the ones that have been built have never joined the professional Formula Drift ranks that we are aware of. WHY?!?!?! Are they ugly? Does the Mustang reputation deter would be buyers? It's not JDM? Any of those could be the case. 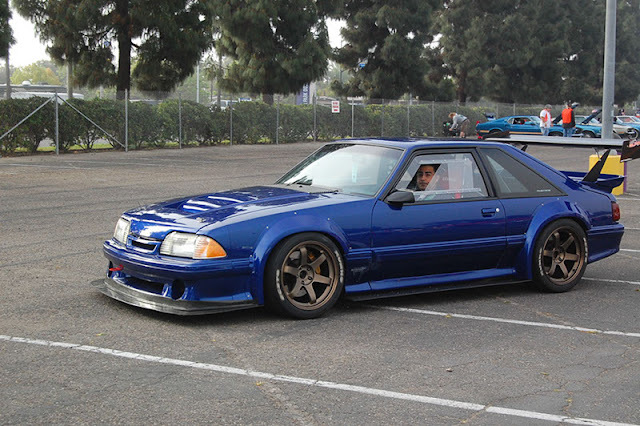 But we feel at the moment the Fox Body and even later model Ford Mustangs are the next hot drift/track car set-up. Only time will tell!